County Government of Siaya will construct a 20,000-seater ultra-modern stadium in ten months, the Governor Cornel Rasanga has disclosed. 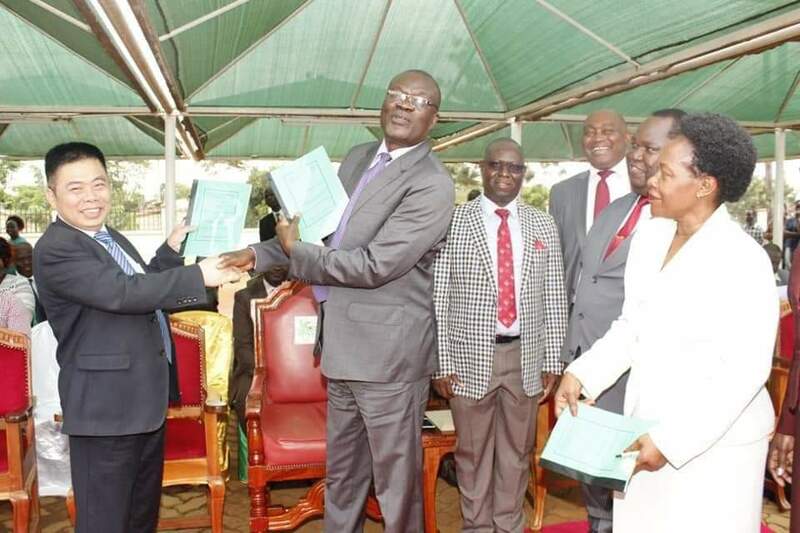 Chinese company Jiangsu Provincial Construction Group Company Ltd was awarded the job with Rasanga presiding over contract signing ceremony on Tuesday. The county did not disclose how much the project will cost. When complete, the stadium will seek to increase access for all Siaya citizens to modern sporting facilities required for quality sports talent development and exposure, according to the governor. The stadium will also provide international sports arena for major national and international events as per the current projections of the county. The stadium shall also lend itself to socio-cultural events, gatherings and conferences. Some of its features will include the main block, external works, sports pitch, amphitheatre and sales points. The construction work is projected to take a total of 44 weeks or 10 months from the day of the ground-breaking occasion which will be in about two weeks’ time. “I encourage members of the public to fully participate in the construction process and frequently report to me the progress of the construction works because these are public funds that must be properly utilised with the vigilance of the members of the public,” Rasanga noted.